Today marks the start of the UK's first ever national Rheumatoid Arthritis Awareness Week. 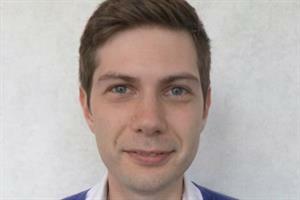 Writing for GPonline, National Rheumatoid Arthritis Society (NRAS) government affairs manager Jamie Hewitt looks at the challenges of raising public awareness and explains why politicians need to do more. 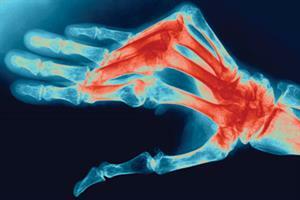 Rheumatoid arthritis (RA) currently affects an estimated 690,000 people across the UK. To coincide with the launch of the first national Rheumatoid Arthritis Awareness Week, NRAS has today published a report on public awareness of the disease called Breaking Down Barriers, which includes a ComRes survey of over 2,000 members of the British public. A few things in the report really stand out. 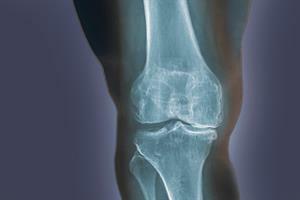 First of all, the persistently low levels of awareness about RA and confusion with osteoarthritis. Secondly, the significant differences in levels of understanding about RA across different demographics, including different age groups, ethnicities and social backgrounds. Thirdly, the small number of the British public to actually see public information on the symptoms of RA (just one in ten) and the high level of dissatisfaction with existing approaches of governments to raising public awareness, with just 10 per cent of the public saying they were satisfied. Why does this matter? Hospital specialists talk about a ‘window of opportunity’ to optimise the effective treatment of RA. If a patient can be diagnosed and begin treatment within 12 weeks of the symptoms first appearing they stand a much better chance of achieving remission or a low disease activity. This means people can retain a much better of quality of life and vastly improve their chance of staying in work. However, currently half of RA patients delay seeing their GP by 12 weeks and a fifth delay for a year or more. This is bad for patients, the NHS and society as a whole. The National Audit Office published a report on RA services back in 2009 stating that the NHS in England spends about £560 million a year in direct healthcare costs and a further £1.8 billion a year on sickness benefits. Also, it could actually save about £35 million over a five-year period if it is able to double the rates of early diagnosis from 10 per cent to 20 per cent. 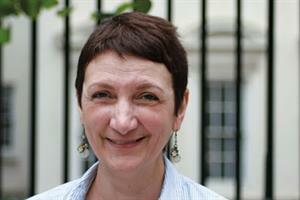 So what is the price of a properly resourced national health campaign? My guess is it’s less than £35 million over five years. The government's coalition agreement acknowledged the need to take action to promote public health, encourage behaviour change to prevent ill-health and create innovative techniques to help people take responsibility for their own health. A well-directed campaign to raise public awareness of the symptoms of major groups of long-term conditions like inflammatory arthritis (this includes RA) would certainly be a logical step to fulfil many of these objectives. With Labour also having started to renew its thinking around health policy for the 2015 election manifesto through conducting the '21st century NHS and social care: Delivering integration’ consultation, now is also an opportune moment for the shadow health team to show leadership around this issue. Just to reiterate, this is not about any future government spending lots of money. Some funding for a national campaign would be welcome, but we believe the solution also lies in a much more nuanced approach that is applicable across a wider range of long-term conditions, as the challenges faced by RA are not unique. The government could facilitate a dialogue with interested parties and begin to develop an action plan on how better to raise awareness of the symptoms of certain long-term conditions. From this, a mechanism to create more joined up working across GP practices, community pharmacies and other healthcare settings and even secondary schools and colleges could be introduced. Remember RA can strike at any age, so it’s essential we give the people of Britain the best chance of to minimising its effects and live as full a life as possible.